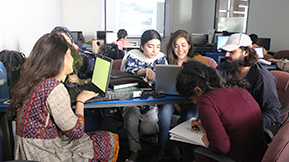 The School of Law at the Karachi Institute of Technology and Entrepreneurship promotes acquiring knowledge, skills & exposure to the Pakistani legal system, general common law principles & aspects of international law. Additionally, students are provided requisite foundations in Economics, Political Science, Philosophy, Science & Society & other technical areas such that the graduates become tech-savvy legal practitioners, hence, enabling them to flourish & practice effectively during the 4th industrial revolution & the new societal issues/legal aspects which come due to this technological revolution. 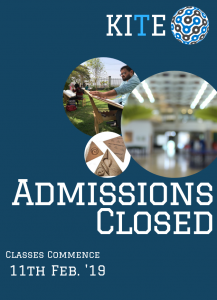 Students seeking admission into our BA-LLB program must also score above 50% in the HEC LAW ADMISSION TEST (LAT) for admission in undergraduate five-year LLB degree programme by online registration for test at the HEC website. The scheme of studies is in accordance with Federal HEC standards & Pakistan Bar Council. 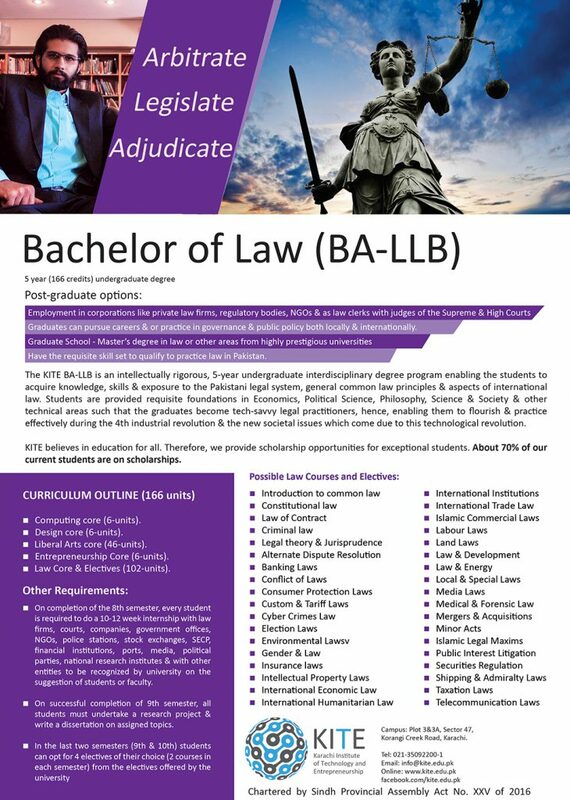 At present, application for admission to the KITE School of Law – BA-LLB program are closed, pending approvals. 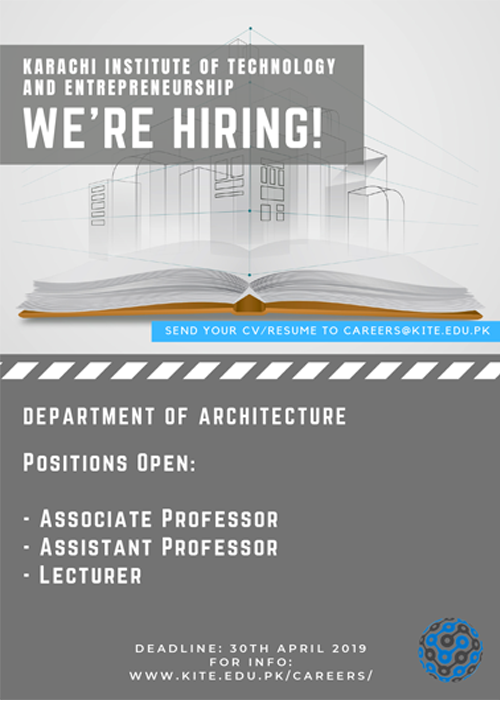 However, registration is open and you are welcome to show your interest by clicking on the “Register Now!” tab above (and filling in the requested information), and we will contact you accordingly in the near future. It is anticipated that the following first year BA-LLB modules/courses will be offered on opening of the application process.